In the interest of improving the user experience, Google is rolling a change in its algorithm with which users will be able to view information about events directly on the search screen, without clicking on any website link for relevant information. 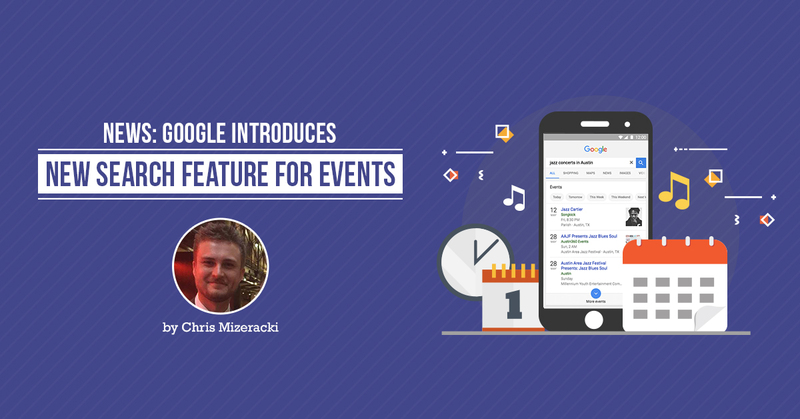 When searched from the Google app or the mobile web, users will see a list of activities of a location or the details of the search event directly on the screen, including the location, direction to reach the place and date details. The announcement was made on the Google blog by Nishant Ranka, a Product Manager with the company. The search engine will directly pull event details from listing sites like Meetup and Eventbrite. The update is currently being rolled out across the United States. For example, if a user searches for “music events this weekend”, the search result will show a list of music events happening around you that weekend based on the phone location. There will be the event title, location, cost (if any), time and date. There will be a filter to view and book events for later dates directly from the event website. If you are an event creator, check out the latest Google developer guidelines to ensure that Google picks up your event listings for the user searches.